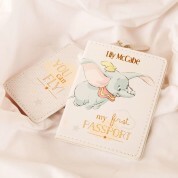 You can fly in style with this special Dumbo my first passport set! 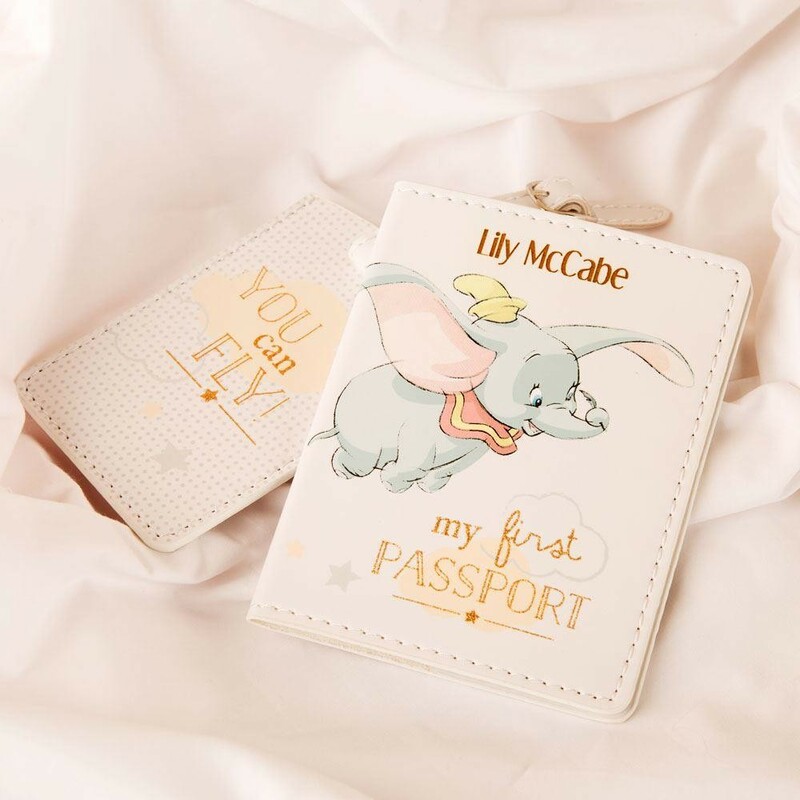 A unique gift with a white leather passport holder, featuring the Disney classic character Dumbo, soaring through the sky with feather in trunk over peach and grey clouds and stars. The words “My first passport” are added in a rose gold lettering. 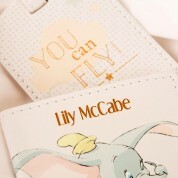 The matching white leather luggage tag has a grey polka dot pattern, peach and grey clouds and stars, and features the phrase “You can fly!” depicted in rose gold lettering. The passport will be engraved along the top with the child's name, to make a wonderful personalised and practical gift! This official Disney set is presented in a grey gift box decorated with a sketch of Dumbo and a gold embossed Disney Baby logo in the centre.